458 pages | 57 B/W Illus. This is the fourth, revised and updated, edition of Geoffrey Till's Seapower: A Guide for the Twenty-first Century. The rise of the Chinese and other Asian navies, worsening quarrels over maritime jurisdiction and the United States’ maritime pivot towards the Asia-Pacific region reminds us that the sea has always been central to human development as a source of resources, and as a means of transportation, information-exchange and strategic dominion. It has provided the basis for mankind's prosperity and security, and this is even more true in the early twenty-first century, with the emergence of an increasingly globalised world trading system. Navies have always provided a way of policing, and sometimes exploiting, the system. In contemporary conditions, navies, and other forms of maritime power, are having to adapt, in order to exert the maximum power ashore in the company of others and to expand the range of their interests, activities and responsibilities. While these new tasks are developing fast, traditional ones still predominate. Deterrence remains the first duty of today’s navies, backed up by the need to ‘fight and win’ if necessary. How navies and their states balance these two imperatives will tell us a great deal about our future in this increasingly maritime century. This book investigates the consequences of all this for the developing nature, composition and functions of all the world's significant navies, and provides a guide for anyone interested in the changing and crucial role of seapower in the twenty-first century. 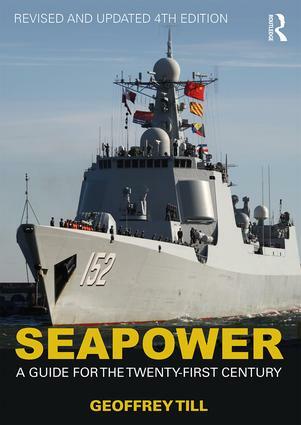 Seapower is essential reading for all students of naval power, maritime security and naval history, and highly recommended for students of strategic studies, international security and international relations. Geoffrey Till is a recognised authority on maritime strategy past and present. Formerly Dean of Academic Studies at the UK Joint Services Command and Staff College, he is currently Professor Emeritus of Maritime Studies in the Defence Studies Department and Chairman of the Corbett Centre for Maritime Policy, King's College London. This series consists primarily of original manuscripts by research scholars in the general area of naval policy and history, without national or chronological limitations.